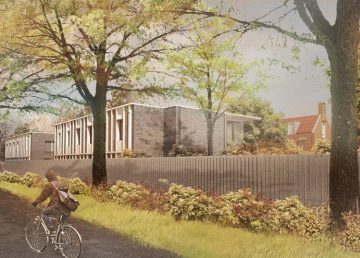 R G Carter are delighted to be delivering the stunning new Passivhaus student accommodation for King’s College, the first of its kind in Cambridge. The development is a direct response to student feedback and will be situated in existing College grounds on Cranmer Road. 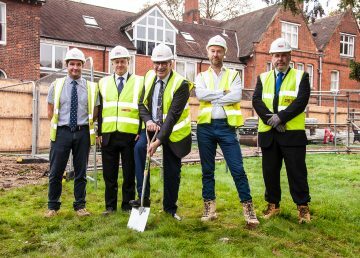 Providing 59 graduate rooms across two new accommodation buildings, the development will create a unified campus around a share garden, a short walk from the College’s historic courts. 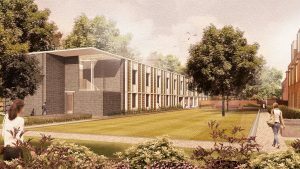 The graduate accommodation will be built to Passivhaus ‘classic’ standard, a sustainable housing initiative, resulting in ultra-low energy buildings which require very little energy for heating or cooling. The Villa building is three storeys in height and will nestle neatly between the Grasshopper Lodge and Cranmer Lodge. The Villa will reflect some of the period design features used in the existing lodges. 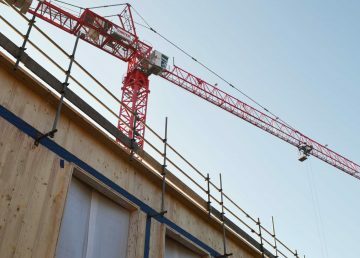 Building facades will be constructed in red brickwork, with high level pitched roofs being tiled and composite aluminium/timber windows complemented with solar shading. 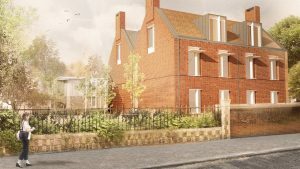 The Garden Building will be two storeys in height and sit across from Cranmer Villa. Visible from the surrounding streets, it has been designed to resemble the heritage of the existing university buildings, while delivering an innovative design. Centrally, the ground floor gives way to present a glazed common room placed in-between the central lawned garden and the south facing courtyard. The flat roof will provide another sustainable element with a ‘living’ brown roof that will self-vegetate. We are delighted to collaborate with King’s College on this exciting innovative scheme. Our focus is on delivering a successful project and providing quality sustainable accommodation that will serve students for many years to come. Originally developed in the late Victorian period, the site was converted from farmland into three generous residential plots, each containing a grand detached villa set within a generous garden. Its development was part of a relaxation in the issuance of 99-year-old building leases by the colleges, who owned the land, to developers working at the top end of the residential market. This relaxation led to the construction of Cranmer Road and a number of other residential roads at the western edge of Cambridge. All three of the original villas still stand today and have been converted to graduate accommodation. King’s College has a rich history of delivering sustainable, quality buildings in Cambridge. 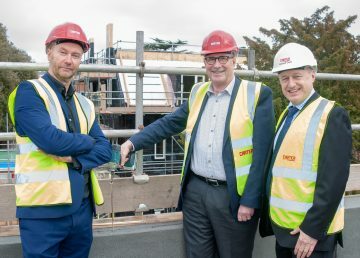 The Cranmer Road student accommodation will continue this tradition and become the first Passivhaus project within the College’s esteemed history. The new accommodation has been designed to be familiar, yet quietly assured buildings which are world-leading in their energy performance. Using familiar construction techniques and materials, such as brick and architectural concrete, Cranmer Villa and The Garden Building will portray a robust beauty. 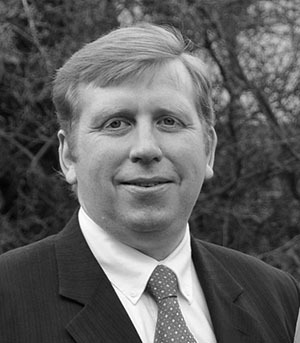 Whilst the building form will deliver the energy efficiency, R G Carter will utilise our experience to weave this solution into buildings that not only fit into the fabric of Cambridge, but under the bonnet are unique in their performance.